A designer Surfer Blue color table lamp with elegant wood accents and a plain white tapered drum shade. 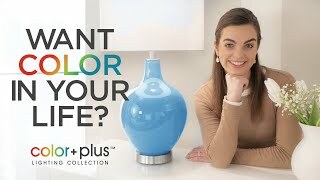 Beautify your home decor with the exquisite style of the Wexler Color + Plus™ table lamp. 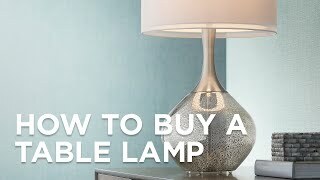 Hand-crafted by experienced artisans in California, the base features a beautiful Surfer Blue color tone that is elegantly complemented by the lamp’s graceful wood lamp neck. A coordinating finial over the plain white tapered drum shade draws the look together and completes the design. Beautiful Surfer Blue base color. Graceful wood lamp neck. 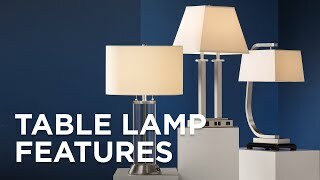 A designer Bosporus blue color table lamp with elegant wood accents and a plain white tapered drum shade. 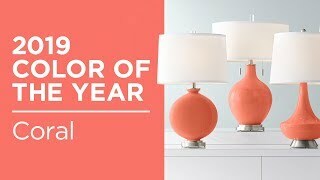 A designer Koi coral orange color table lamp with elegant wood accents and a plain white tapered drum shade. 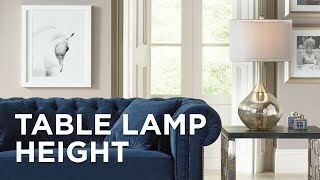 A designer Midnight Blue Metallic color table lamp with brushed nickel finish metal neck and a plain white tapered drum shade.